The official start of HMD Global as a house of the Nokia phones for sure gave smiley faces to many Nokia fans out there. Ok, there has been a lot of questions are those future phones really be Nokia, or just another Chinese smartphone with pricey logo stamped on. We have been writing about that question a lot and gave proof that future Nokia phones will truly carry Nokia soul in them, not just by design and build quality, but with innovation and energy that was implemented in previous phones that carried iconic logo. 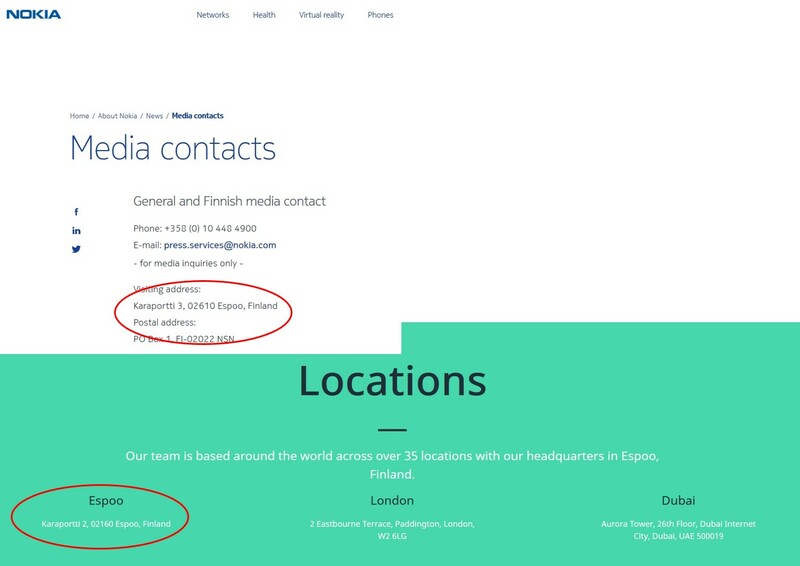 But there is another thing that tells us HMD isn’t just another business strategy of producing phones, that that company is full of Nokia in her, not just by people working there, but also with postal address. HMD Global Headquarters is located just one number below Nokia’s current Headquarters. 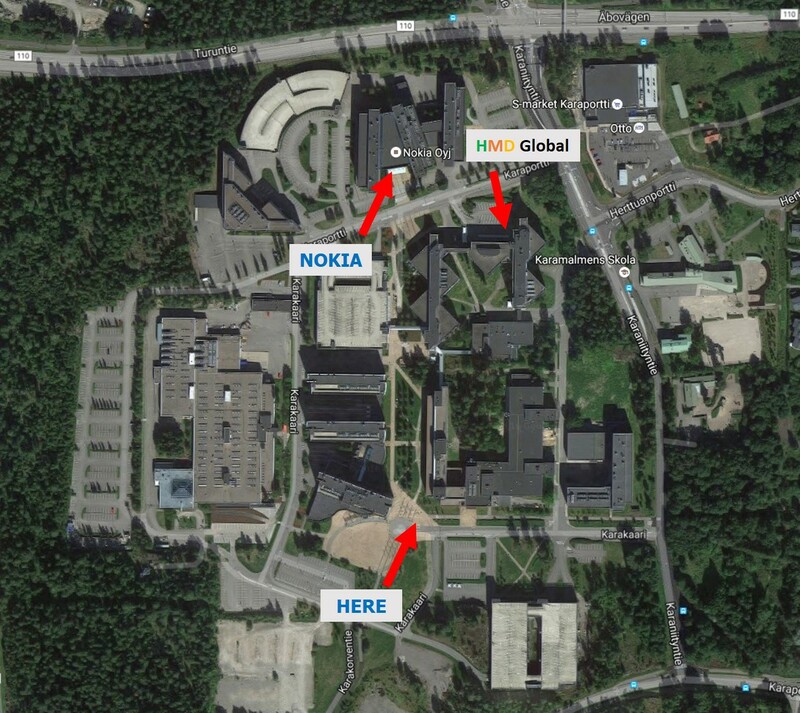 Nokia is residing in Karaportti 3, 02610 Espoo, Finland, while HMD Global is situated in Karaportti 2, 02160 Espoo, Finland. There are also HERE offices just few buildings to the south. This is quite interesting fact. Maybe, just maybe there could be just slight involvement of Nokia in the future design of smartphones and tablets coming from HMD Global. Even on their Board of directors there is one seat taken by Nokia Technologies representative. Funny, isn’t it :). Cheers Juhani for the tip :).